Larnaka has a lovely location by the sea and you’ll soon discover that you’ll find a great deal of action at the Finikoudes. This is a lively coastal promenade where visitors and locals enjoy strolling especially at sunset. There are many restaurants, cafes and bars where the party goes on all summer long. There is much to see and enjoy in this city where the old meets the new. 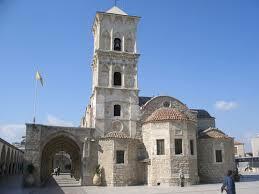 A 9th century church Agios Lazarus is dedicated to Lazarus of Bethany. Lazarus from the Bible is the person Jesus is said to have resurrected four days after he passed away. The church is an amazing example of Byzantine architecture. After some restorations in the 17th century Latinate and Orthodox influence has been added as well particularly to the bell tower. Inside you can see interesting Catholic woodcarvings and an intricately designed gold-plated Orthodox icon. The connection that Lazarus has with Larnaka is that after he rose from the dead he had to flee Bethany. He sailed away and landed in Kition where he became an ordained bishop and was canonized by Apostles Paul and Barnabas. He remained here as bishop for 30 year and when he died he was laid to rest in a hidden tomb. This tomb was uncovered in 890 with the inscriptions saying “Lazarus Friend of Jesus”. At present only an empty tomb can be found here. Built during the Lusignan period Larnaka Fort stands at the water’s edge and separates the Finikoudes Promenade from the old Turkish quarter. There is a courtyard that has some medieval tomb stones and old cannons. It is possible to climb up on the ramparts to get some nice views of the coat. As you enter the fort the room to the right was where British carried out executions at the time when they ruled over Cyprus. You’ll also find a small Medieval Museum here. In the courtyard during the summer concerts and cultural events are held. Modern day Larnaka covers most of what was once the Kingdom of Kition. 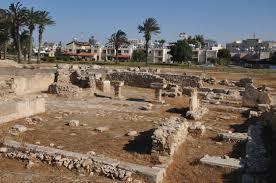 The ancient city was unearthed and is known as Area II located about 1 km northwest of central Larnaka. The site as you walk along takes you over the remains of Cyclopean walls. You can see what remains of the five temples from the 13th century B.C. and ship depictions that were etched into the walls of the nearby ancient port. This is a confirmation that the city was founded by sea-trading Mycenaeans. Worth looking at is the old Turkish neighborhood of Skala where you can get a feel of old Cyprus as you walk the streets. This district has squat cottages with peeling whitewash, colorful window shutters and doorways with flowerpots. The road signs here are still in Turkish. Today ceramic workshops have been set up here giving this area a Bohemian feel. The Natural History Museum offers a look into the natural history of Cyprus and has displays that are dedicated to flora, fauna, geology, insects and marine life. It is located in the Municipal Gardens and visited by school groups. It is a great place for children as here they can see pelicans, flamingos, peacocks and macaws in cages right outside of the museum. In the gardens is a little playground. At Larnaka’s Archaeological Museum you can see a large collection of pottery from ancient Kition and a reconstructed Neolithic tomb from Choirokoita. There are five rooms and the highlight is a collection of terracotta votive figures. If you’re traveling with family and need a different way to entertain your children head for Mazotos Camel Park. At one time camels were the main transportation way in Cyprus and this is the last place on the island that you can see them. 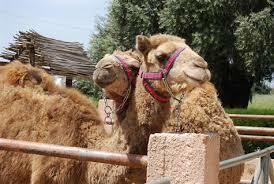 There are camel rides, a swimming pool, a play area and a petting zoo just twenty minutes from Larnaka. A most popular site in Larnaka is Salt Lake. 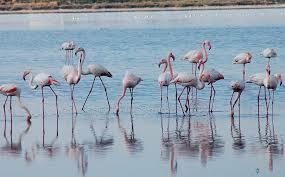 This is home to almost 85 species of migratory water birds such as flamingos. Every year around 10,000 flamingos visit the lake about January-February. The lake dries up in July-August leaving a thick crust of salt that measures up to 10cm deep. Today it is a tourist attraction and is situated near the holy site of Hala Sultan Tekke. If you’re looking for some fun in the sun head for on of the most famous beaches in south Cyprus Phinikoudes or Foinikoudes Beach. The name refers to small palm trees that were planted here in 1922. The area around the beach is popular for its cafes, restaurants, bars, hotels and mini markets. When it is tourist season all the facilities are available including life guards, sun beds, umbrellas and you can participate in water sports. 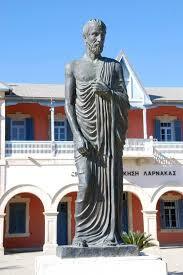 The famous stoic philosopher Zeno of Kition came from Larnakas. He is known for laying the foundation of Stoic School of Philosophy. He was one of the first to segregate philosophy into physics, logic and ethics. Two statues are dedicated to him in Larnaka. One can be seen opposite Municipal Garden and the other in Europe Square. 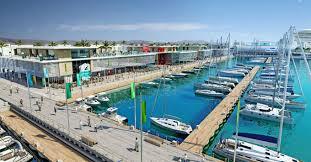 Another main attraction in Larnaka is its 200-berth yachting marina. The harbor is lined with lovely palm trees and there are spectacular views of yachts and boats sailing upon the sea. There are many taverns and cafes in this area where you can sit and relax while sipping a glass of wine and watch the boats going by. lovely post, enjoyed it very much! Thank you Heartafire. Glad you liked it.